As I read the words from my old journal, I vividly recall my emotions. Shame, humiliation, doubt. The entry is dated April 16, 1983. I was in my second semester of college. I remember the day well. My friends suggested I go to the meeting, but I was resistant. I had been to healing services before. Each time I had expected a miraculous healing. Each time I believed it would happen. Each time I had returned disappointed. I wanted to shield myself from further frustration, but at the same time so wanted to be healed. All day I felt unsettled, vacillating between fear and excitement. Though we arrived early, the room was packed. The only seats left were in the first row. As we walked to the front of the auditorium, I was painfully aware of my limp. Everyone knew I had come for healing. My presence seemed to intensify the excitement. I could tell everyone wondered if they were going to witness a verifiable miracle. After a short sermon, people started lining up. This traveling evangelist touched people where they were hurting and prayed for them, commanding them to be healed in the name of Jesus. And all of them were healed. Hip pains, ear aches, migraines – all disappeared immediately. My stomach was in knots when someone grabbed my hand and led me onto the stage. There was silence as everyone turned to me. I was terrified. He walked away, and with a dismissive wave declared, “I see that you do not have the faith to be healed. You need to go home and pray and ask God to give you more faith. I’m going to do another healing service and baptism tomorrow. If you have the faith, come to that meeting and you will be healed.” He turned his attention to the next person in line while my friends helped me off the stage. I was mortified. No one had ever said it was my fault before. No one had questioned my faith in the process. No one had blamed me for my disability. I sat there, humiliated, trying to figure out the next step. I was simultaneously embarrassed, insecure, and irate. Over the next few days, my emotions were on a roller coaster, alternating between begging God for the faith to be healed and demonizing this man who had humiliated me. I then decided that he was wrong. He was a false teacher. My faith was strong and no one could question it. I needed grace. Grace for myself, to see my healing didn’t rest on me. Grace for this man, who was attempting to walk out his gifting. Grace for my friends, who were trying to help me discern truth. When I was criticized, I assumed that no fault lay with me. It was totally his mistake. No one should have questioned my faith. But as I looked at my heart, and what lay at the root of my anger, I saw my own sins of self-righteousness, pride and arrogance. But at the same time, I don’t believe faith healers can heal whomever the wish. They can only heal those whom God has chosen to restore. The glorious message of the Gospel is that God’s plan and promises are not dependent us. They are wholly dependent on him, for he has done it all. God alone decides who and when and where healing will occur. Personally, I would love to be physically healed. Or at least for my post-polio deterioration to stop. It would make my days a lot easier. But God in his wisdom has chosen not to remove this thorn. I don’t understand when or why God chooses to heal. It remains a mystery. I wish I knew why devout faithful Christians die young of cancer and other not-so-faithful people receive inexplicable healing. When the former are seeking God daily and the latter utter a one-time quick prayer. It doesn’t seem fair. Yet I’ve received miraculous physical healing myself. When I was eight years old, I used ankle braces. The doctors said I couldn’t walk without them. But God changed that in an instant through a faith healer who prayed over me. I haven’t worn braces since and the doctors to this day are astounded. It doesn’t make medical sense. So why didn’t God go all the way and heal me completely? Why did he just stop with getting rid of my braces? Why didn’t he do the more astonishing miracle? I don’t know for certain. 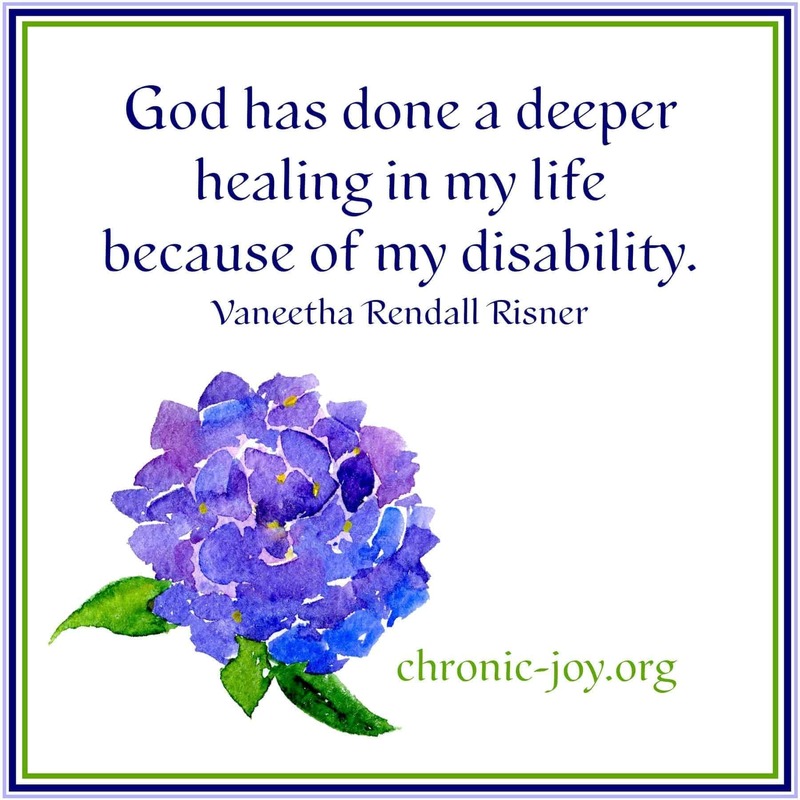 But I do know that God has done a deeper healing in my life because of my disability. He has taught me to trust him in the dark. He has refined my character through loss. And he has given me an incredible joy in him. Those things are more valuable to me than physical healing. While I’d like to understand God’s mysteries, I don’t feel I need to. My finite mind cannot comprehend the Infinite. But I am certain that God is purposeful. That life isn’t random and God isn’t capricious. And whether I am physically healed or not, I can rest on God’s unchanging grace. For in Christ, I have indeed found his light in my darkness and his joy in my sorrow. Bennett, Arthur. “The Valley of Vision.” The Valley of Vision: A Collection of Puritan Prayers and Devotions. (Edinburgh: Banner of Truth, 2003), xxv. Vaneetha is a freelance writer and a regular contributor to Desiring God. She blogs at danceintherain.com, although she doesn’t like rain and has no sense of rhythm. Vaneetha is married to Joel and has two daughters, Katie and Kristi. She and Joel live in Raleigh, North Carolina. 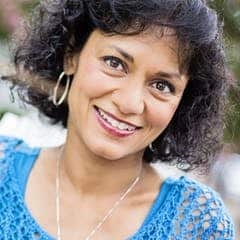 Vaneetha is the author of the book The Scars That Have Shaped Me: How God Meets Us in Suffering. “Vaneetha writes with creativity, biblical faithfulness, compelling style, and an experiential authenticity that draws other sufferers in. Here you will find both a tested life and a love for the sovereignty of a good and gracious God.” John Piper, Founder & Teacher, desiringGod.org. Watch Choosing Joy in Suffering from Diamonds 2019. *All book profits go to Joni and Friends – a ministry that is near and dear to Vaneetha’s heart, because Joni has helped me more in my chronic illness than anyone else.